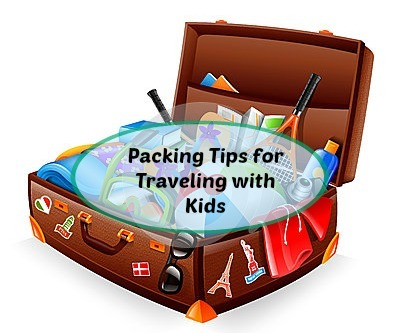 This post about packing tips for traveling with kids is brought to you by Atlantic Luggage. The content and opinions expressed below are that of close to home. Get packing and Enter to win a family trip with Atlantic Luggage Sweepstakes. Maybe I will get lucky and win, but I wish we could travel more as a family but with three kids plane tickets can become expensive. Not to mention the luggage fee the airlines are now charging. Having durable luggage that is the right size to use as carry on is the key to keeping travel costs down, not to mention avoiding the nightmares of lost luggage. Traveling with kids can be exciting but also stressful if you are not prepared. Get the kids involved in the process and use these 7 packing tips for traveling with kids. With the holidays coming up I am thinking about investing in some good luggage for the family that should last them until they are adults. I recently posted tips for traveling with kids but what is the best way to pack? Pack all liquids and gel in a Ziplock bag and keep at the top of your suitcase or an outside pocket to be easily removed during security. Pack a days worth of clothes, medicine etc if you are checking your luggage just in case. Bring extra plastic or Ziploc bags for dirty or soiled laundry. 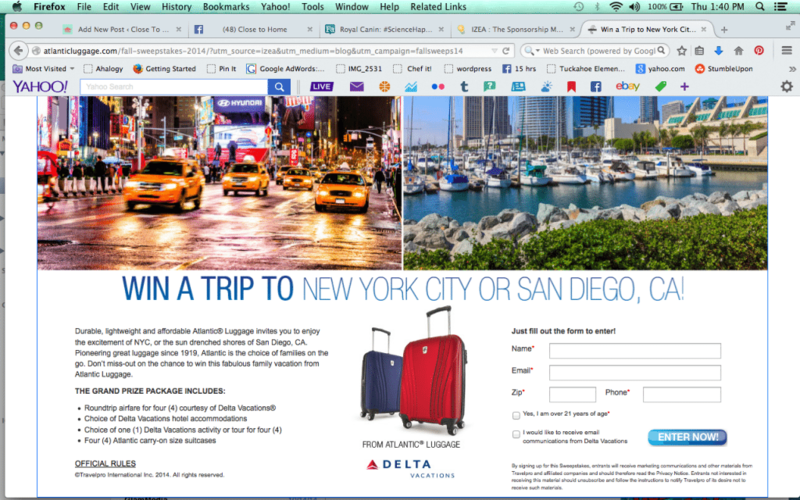 Now that you know how to pack, there is no excuse for entering the Atlantic Luggage’s sweepstakes for a family of four to New York or San Diego. What are your favorite Packing Tips when Traveling with Kids? It must be hard travelling with kids, i know for sure even just travelling alone is a pain. I also recently learned that rolling your clothes instead of flat folding is better way to have enough space and pack more. Hope to remember these tips when i do have kids and we need to travel. These tips are great, thank you 🙂 We hope to take a big trip later this year so these will come in handy. These are fab tips! We’re headed out for a holiday family vacay soon, so these will come in handy! Good packing tips – my hubby was in the service – he taught me how to back. It is amazing how much he can get into one bag. What a great vacation! I signed up and am l looking into this new luggage. We are in the market for some. 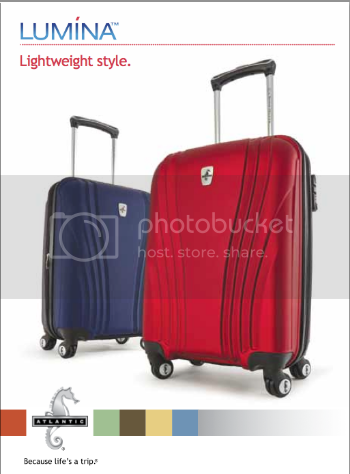 Lumina luggage is perfect for traveling. I buy travel sized toiletries and make each of the boys a bathroom box with a pencil box from the store for our summer road trips. It makes sure that they can just grab and go at night when they need to get ready for bed. These are great tips for traveling with children. These will make trips more enjoyable for all the family. I always give my kids a list. They check it off going and coming. Great tips! We leave for vacation with our kids very soon! Thanks for the tips! I don’t plan on traveling anytime soon but I’m pinning this post so I can refer back to it when we do travel! Looks like a nice line of luggage, the quality looks great! My tips…well, I have a 2 year old, and when we fly, I always make sure to have lots of snacks, toys, and an iPad stocked with movies and games accessible. I so understand where you are coming from with the three kids tickets. We have learned to pack lightly. Making a list is the only way I can stay organized, especially if I’m pacing for a trip. I always roll clothing, for both the kids and myself. It’s so much easier and it saves so much space. These are great tips. Once I had my kids pack for themselves, and thank goodness I double checked it. What kids consider to be important packing items are not what adult consider important. packing is never easy but packing with kids is hard. thank you for the great tips. Great tips! We roll our clothes too and I big a garbage bag to put their dirty clothing in. Anything clean at the end of the trip we put in one suitcase and all the dirty clothes go in the other. Then I am not washing more than I have to when we get back. Love the back-to-back connecting luggage! It could come in really handy. My mom always taught me to double bag all lotions and liquids and then place them inside shoes. Keeps the shoe’s shape and doesn’t take up extra space! We travel a lot, so I kind of consider myself an expert at this point. The thing we can’t leave home without is the snacks! Great tips! I travel with my kids all the time and I always roll their clothes. Being military it’s what we do and it sure gives you a lot more room in your luggage as well. That trip would be awesome to win. Great tips! I always roll the kids clothing. I found that instead of taking several suitcases by rolling I could fit all of their clothing in one for a 10 days.